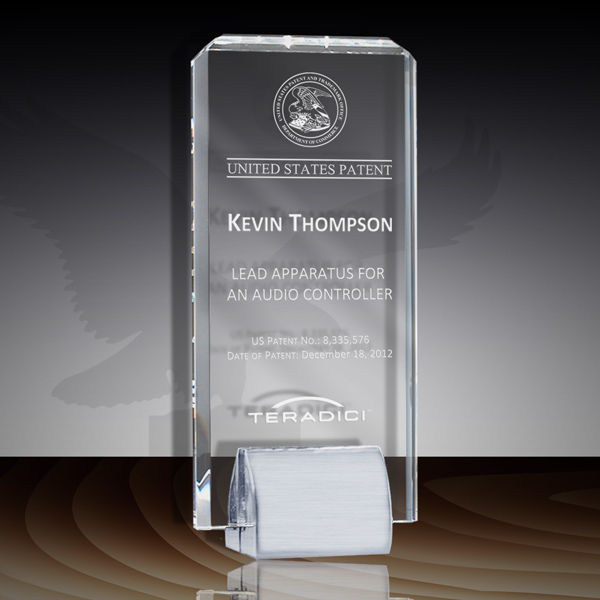 Optical crystal desktop award with a chrome-plated metal base. Available in two sizes (8 1/4" & 9 1/4"). This Patent Award - Crystal Desk Chrome Base IP CC-914 is part of our Patent Desktop Award Series of products, check out other products & options available in the Patent Desktop Award Series of our selection. 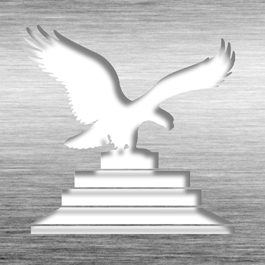 This Patent Award - Crystal Desk Chrome Base IP CC-914 can be modified to your requirements and is available for your corporate award programs.